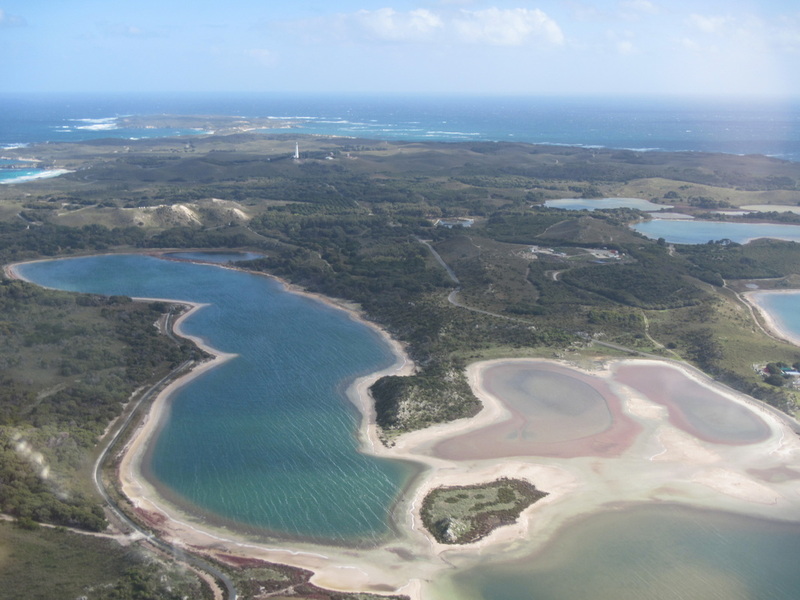 You can see parts of Rottnest Island by exploring on foot, riding a bike, private boat, or even checking out designated parts of the island on a fun-filled Segway tour. 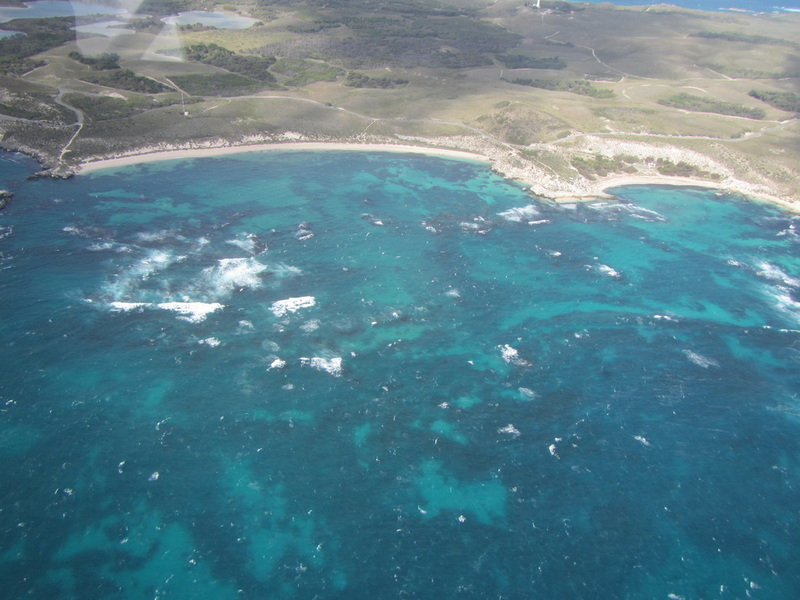 But there is nothing like seeing this delightful island marine reserve from the air. 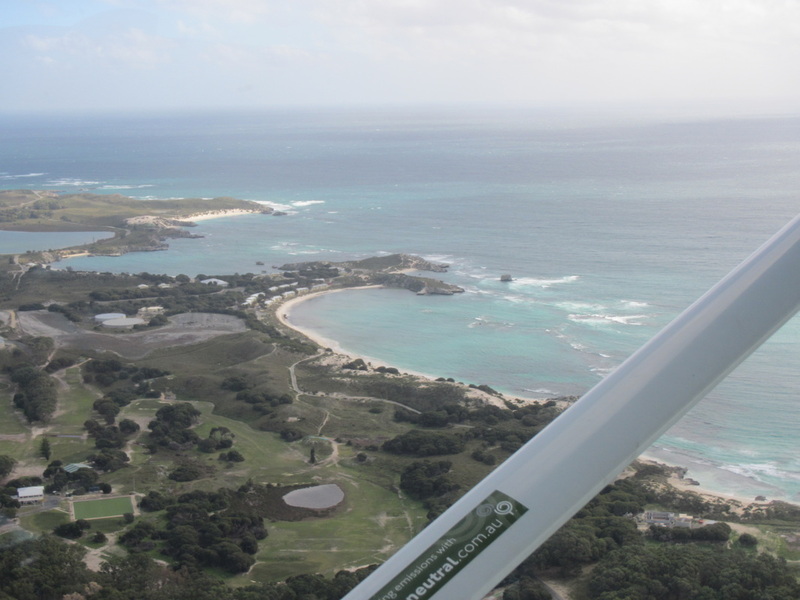 We saw it at its best with Rottnest Air-Taxi’s 10-minute joy flight. Despite the blustery conditions and the small four-seater, pilot and owner Frank Stynman showed us why he has made more than 25,000 incident-free landings on the island strip. After our Segway adventure, it was just a few minutes on our electric bikes to the airport, where we were surprised by the spaciousness and quality of the facilities. Just a few minutes more and we were strapped in, with our headsets adjusted and taxiing down the strip – it was great to be getting on a plane without check-ins 30 to 60 minutes prior, or delays waiting for late aircraft or refuelling. 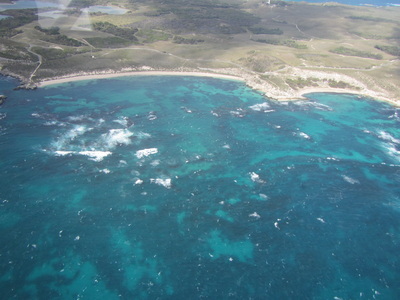 While the wind was up (unfortunately there were too many whitecaps on the ocean to spot any dolphins, sharks or migrating whales), the flight was smooth as Frank easily banked around the island at 1,000 feet and gave use a bird’s-eye view of the reefs and inlets, light houses and other historic buildings, houses (mainly tourist accommodation), lakes, various walkways and roads. We spotted plenty of places we want to visit on foot in the future, as well as a couple of great surf breaks, ideal snorkelling areas and what looked to be some great fishing holes among the reefs. It seemed much longer than 10 minutes, but we were quickly on the ground and buzzing “did you see this” and “what about that”. We all wished we had more time to take advantage of the 30-minute sunset coast flight – for east coasters it would have been spectacular to see the sun set over the ocean horizon from 1,000 feet in the air, and we are certain even long-term locals would be suitably impressed! Rottnest Air-Taxis also have flights to the Island from Perth anytime during daylight hours. 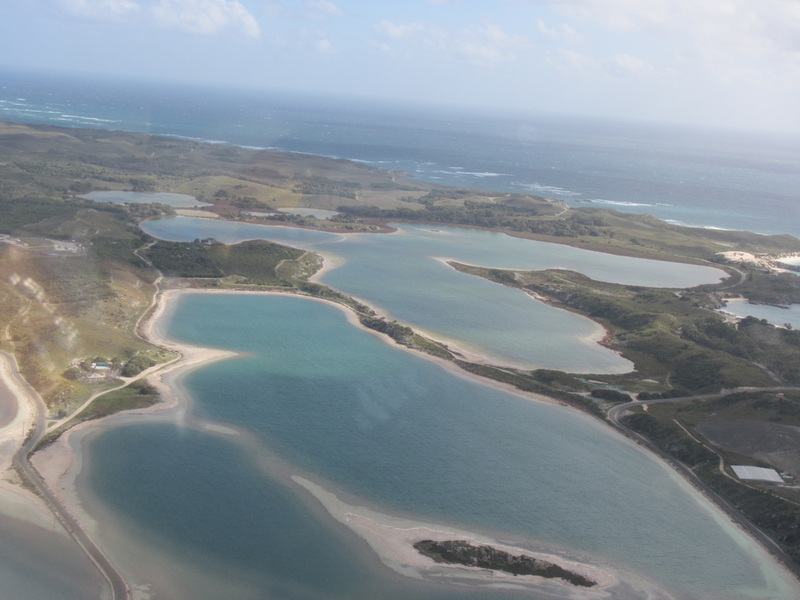 It’s only a 12-minute flight from Jandakot airport over Fremantle and the lower Swan River, with spectacular views up the River to Perth and also over the Island as you arrive and depart. 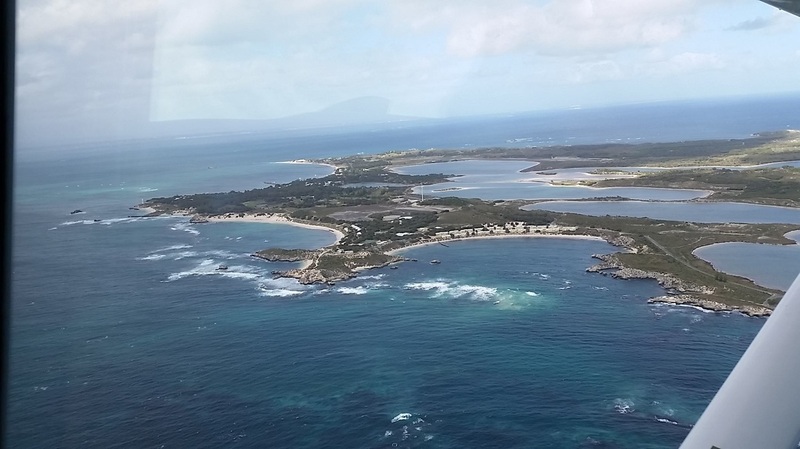 If there were several people in your group the cost is not much different from taking the ferry, but it gets you there in a quarter of the time and gives you an unbelievable perspective of not only the Island, but the Perth-Fremantle coast as far as the eye can see. The only way to adequately describe the sun reflecting off an ocean that stretches across the island and disappears over the horizon is to say…… you will need to take a flight and see it for yourself!